Purple Essentials - Natural Skin Care for a pure and simple life! 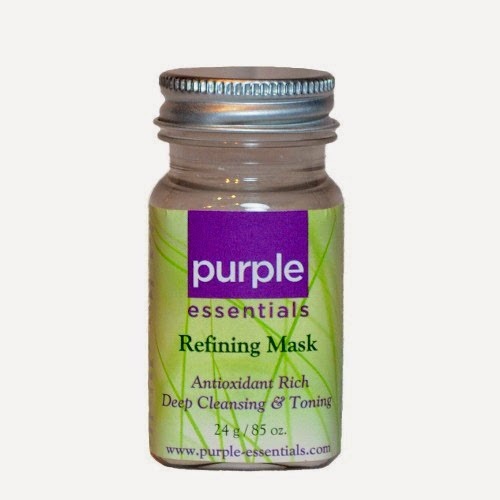 : Secret Weapon for a Fabulous Fall Face - Naturally Cleanse, Tone & Tighten with Purple Essentials' Refining Facial Mask! Secret Weapon for a Fabulous Fall Face - Naturally Cleanse, Tone & Tighten with Purple Essentials' Refining Facial Mask! Fall into a Fabulous Complexion! Autumn is a time of transition. 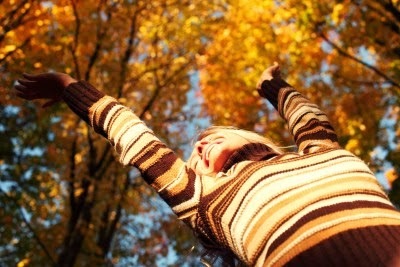 The days grow shorter ~ temperatures drop ~ the air becomes drier ... the effects on your skin can be dramatic. To combat this seasonal change, transition your skin care routine with the help of Purple Essentials' all natural face care products. Where to start? We suggest you embrace the cleansing, toning and tightening effects of Purple Essentials' Refining Facial Mask! Handcrafted from all natural ingredients, our Refining Facial Mask is an antioxidant rich, soothing and regenerating recipe, formulated to help fight the visible signs of aging. Rejuvenate your skin - Facial masks help exfoliate dead skin cells and unclog pores, which ensures your skin will look more toned, hydrated, and have better absorbency of your daily skincare products i.e. moisturizers and serums. Deeper cleansing - While regular cleansing removes the daily surface dirt from your face, facial masks actually draw out embedded dirt and oils from the deeper layers of the epidermis. Brighten your complexion - Facial masks help to stimulate blood circulation; better blood circulation means your skin will feel smoother and softer. 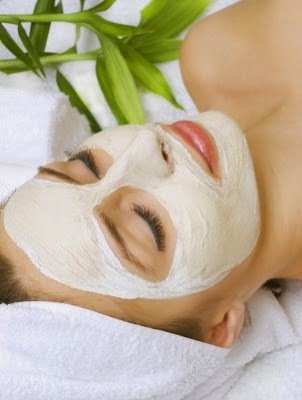 Improve overall health - Facial masks improve the overall health of your skin, making it look younger and more radiant. They flush out accumulated toxins and aid in clearing up blemishes, helping keep your skin healthier. Kaolin & Pink Clay - for their gentle and toning properties. Green Clay - for oil wicking, drawing out impurities from the skin. Blue Washed Clay - helps to regulate skin's natural oils, tightening and toning. Honey Powder - for it's healing, toning and moisturizing effects. Apple Extract - packed with alpha hydroxy acid, anti-ageing properties. Strawberry Extract - rich in polyphenols and Vitamin C, skin soothing properties, wonderful toner to reduce the appearance of pores. Cucumber Extract - anti-inflammatory, tightening/toning, mineral and vitamin rich, promotes strong cell growth and repair. Green Tea Extract - rich source of anti-oxidants, Vitamin C & E, helps to repair effects of ageing and environmental damage. Ginger Extract - antibacterial, anti-inflammatory, soothing and balancing to the skin. For a Skin Tightening Mask*: Place 1 tablespoon of mask into small container, with a 1/4 teaspoon of juice, tea or water - your choice. For a Moisturizing and Toning Mask*: Place 1 tablespoon of mask into small container, with 1 teaspoon of plain (Greek) yogurt and 1/2 teaspoon of warmed honey. Apply above mixture to freshly cleansed skin with a mask brush or fingers, totally covering face and neck area (avoiding eyes). Allow to sit on skin for 20-30 minutes. Remove with a warm water and a soft cloth (dark coloured, as this blend can stain). Rinse skin with tepid water and apply moisturizer. Recommended: Purple Essentials' Rejuvenating Serum. Using our Refining Facial Mask once per week will provide the deep cleaning your complexion needs to thrive! Combined with the full line of naturally nurturing, face care products from Purple Essentials, your complexion will remain healthy and vibrant all season long. We invite you to experience the results for yourself!